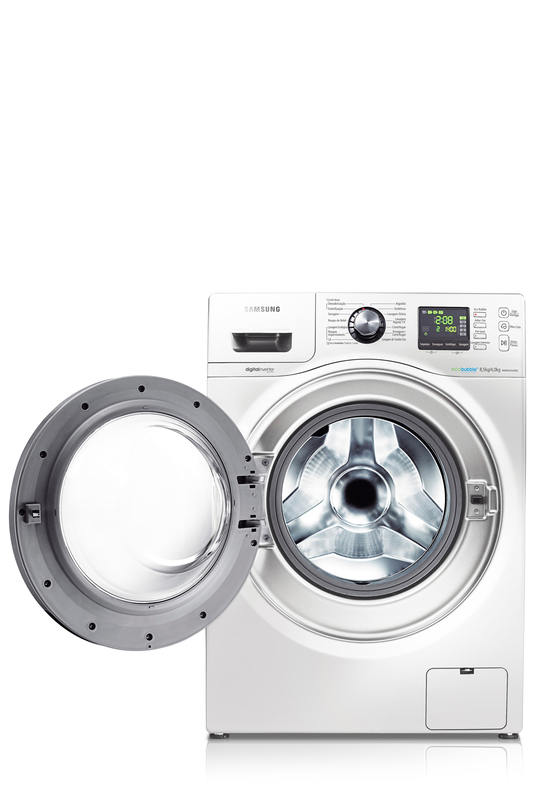 The great design, platinum stainless steel washer, and quiet operation (due to the state of the direct drive motor that uses a speed reversal for cleaning clothes) are some of the reasons why many people opt for Samsung WD856UHSAWQ. With the 8.5 kg washer capacity and 6 kg dryer capacity, you can conveniently do the washing and drying cycles in one condenser combo unit. 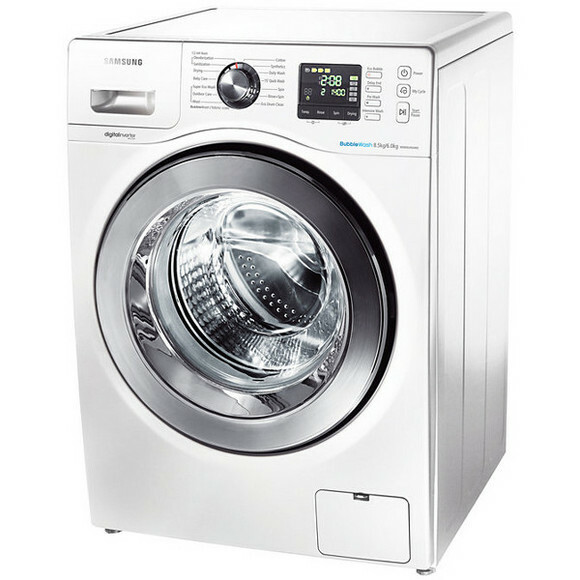 Following are the features and specifications of the Samsung WD856UHSAWQ. All the features are brought together in this elegant combo unit which is very simple and easy to use. But, is it worth buying? Find out yourself! Durable Motor – the motor is brushless, and thus it runs efficiently at cool operating temperatures. Clothes are extremely fresh – AIR Wash uses air in order to gently freshen different clothes like bedding, shirts, or the stuffed animal of your child. My Cycle – this feature allows you to customize the most used and favorite cycle, so now you can do the washing/drying with one touch of a button. 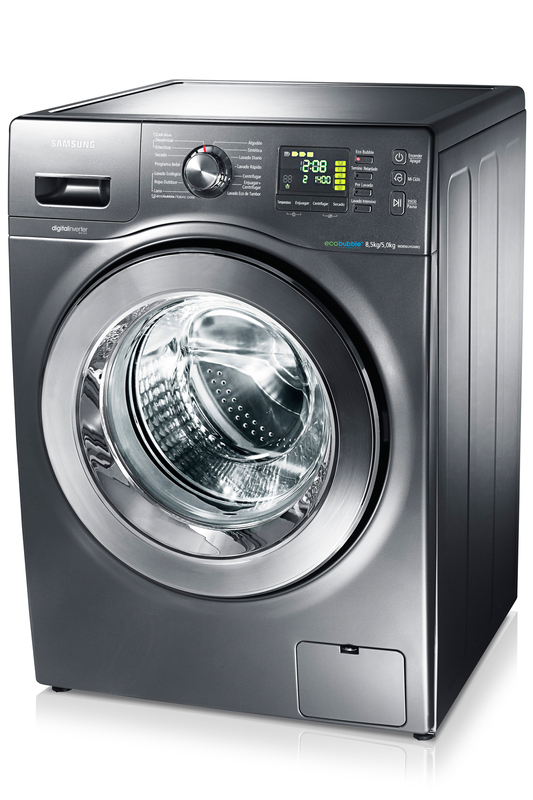 Samsung’s Diamond Drum – its streamlined shape provide an amazingly gentle performance. 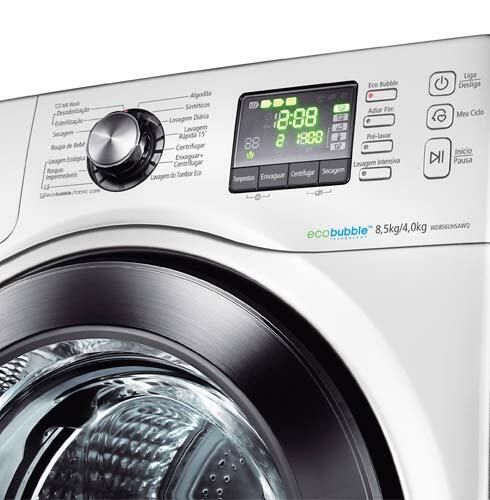 Quick Wash – In just 15 minutes you can wash up to 2 kg lightly-soiled clothes. Drum Clean – reduce the dirt and residue in the drum. There’s even an alarm that tells you when it’s the time to run this function. 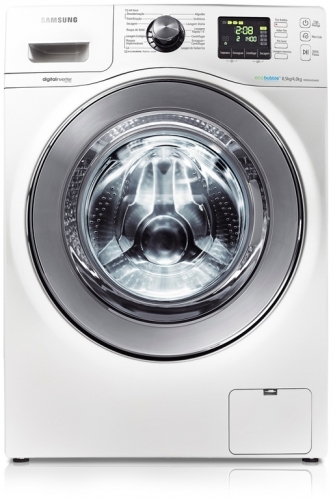 Great Washing and Drying Capacity – you can now wash and dry large loads. Very Informative Functions – like delay end, door lock display, child lock display, fault check display, and progress indicator. Safety features like child lock, overheating control, anti-foam control, and self diagnostic system. Bubble Wash – improved cleanliness with great fabric care. Less noise and vibration – due to the smart control technology. The drum of this combo unit keeps perfect balance. Baby Care – protects the clothes of your children and their sensitive skin. Warranty: 11 year parts replacement warranty. 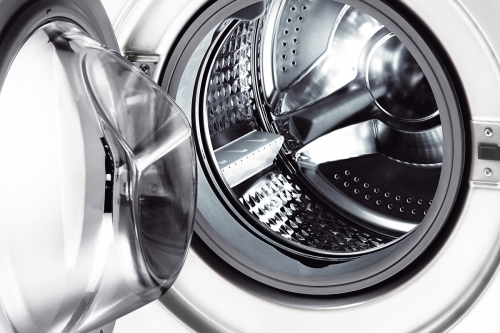 Wash Programs: Cotton, Synthetic, Daily Wash, Super Wash, Drum Clean, Outdoor Care, Baby Care, Wool, Spin, Rinse+Spin. Options: Bubble Wash, My Cycle, Rinse+, Quick Wash, Sound off, Rinse Hold, Pre Wash, Intensive Wash.
Tray Dispenser: PreWash, Main Wash, Fabric Softener. The Bubble Wash delivers an excellent cleaning performance. Informative functions and great safety features. Takes hours to do the washing and drying. The clothes can sometimes be wrinkled and not fully dried. Not very cheap machine to run. Most of the features are basic and simple. Conclusion: Honestly, since this is a combo unit from Samsung, my expectations were high, but I think we can all agree that 5-6 hours are just too much. Plus, many people complain that the clothes are not fully dried. So, if you’re willing to spend almost $1,300 on a combo unit which has many flaws, go ahead. But we assure you that there are far better choices out there.